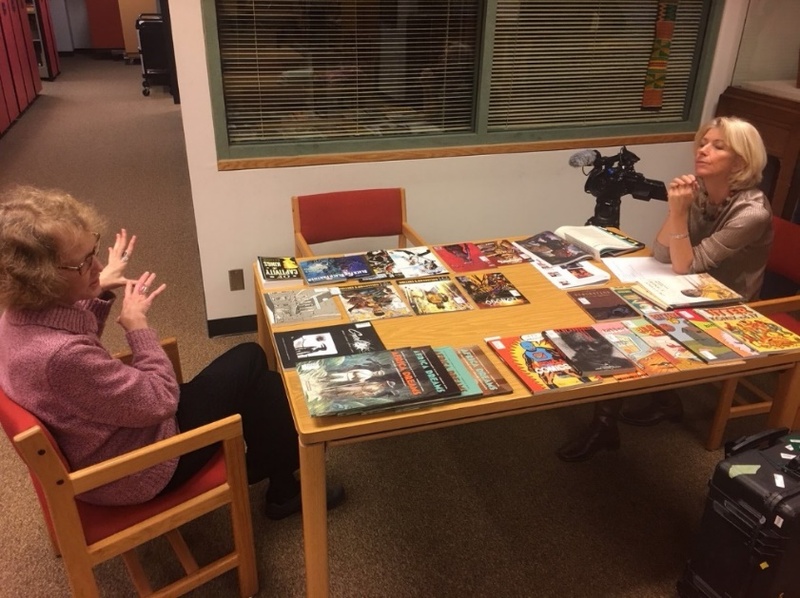 Librarian Janet Stanley, left, in conversation with Jane O’Brien, BBC America, about the growing importance of graphic novels in the world of African art. The Warren M. Robbins Library of African Art is a unique resource for researchers, a place of discovery, and a tinder-box for curiosity. Tucked away inside the Smithsonian’s National Museum of African Art in Washington, DC, many are unaware of its existence. The Library is an indispensable resource for the thousands of researchers who patronize it annually. Today, the Robbins Library is in a unique position. Pop culture’s attention to graphic novels and comic books, as well as Africana, is skyrocketing, inspired by everything from viral sensation music videos to blockbuster superhero movies. By growing its collection, including expanding its selection of graphic novels, the Robbins Library can be an even greater asset to its users and inspire and excite more curious minds around the world. When you support the Warren M. Robbins Library at the National Museum of African Art before September 30, 2018, your gift will be matched, doubling your impact. Your gift today allows the staff of the Robbins Library to reach even more people in Washington, DC, across the US, and around the world. This year marks the Smithsonian Libraries 50th anniversary as a unified system. Please join us in celebrating five decades of inspiration, education, outreach, and research by supporting the Warren M. Robbins Library today as it grows to support the scholars of tomorrow.